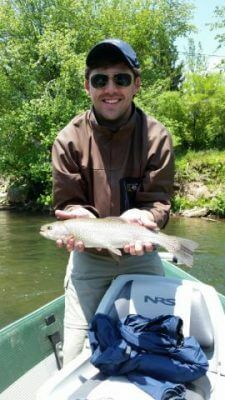 Fly fishing lessons for beginners is one of the best investments you could make for your journey as an angler. An investment with a qualified casting instructor not the free lesson from someone trying to sell you gear! The sport is absolutely littered with those in the gray areas of mediocrity that spent a small fortune on gear. 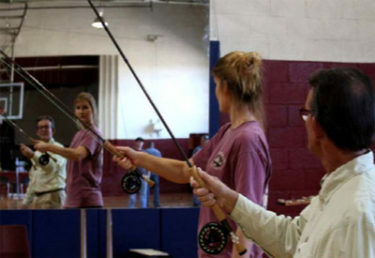 Many of which shy away from lessons to improve their skill. It is stunning how many refuse to take lessons from pros and go at it alone. I have been enjoying the Winter Olympic games with the family in the evening the past week because I love the skiing events. How many athletes are competing with no coaching? If you are serious about wanting a deeper enjoyment of fly fishing then lessons could be for you! I have participated at shows and conclaves since the early 1990’s across the United States. The most common questions have repeated since that time which tells me that many fly flingers need a nudge to jump to the next level. Questions like “I could not get a good float with all of those currents”. “The wind made it impossible to get my line out”. “Why does my fly keep falling off of my leader”? “The foliage made it impossible to cast”. Then the next level of folks that are still stuck at short distance roll cast and aerial cast claim, “how do I get extra distance”? “Why does my leader keep getting knotted when I cast”. “How can I learn better curves for fishing casts? What if I told you that the very basic foundation of casting fundamentals assists you in solving all of these problems! Just today on the social media platforms the big-name sponsored online media outlets really dumb it down for folks. So much that not much info is conveyed what-so-ever. Six hundred word article on how the George Harvey leader will enable you to catch lots more fish! There are no magic leaders folks! Another big online media source asks what is the number one wet fly for all of the United States? Really? And another asks for advice on what is the best indicator? WOW! No wonder there remains so many fly flingers in the gray area of mediocrity. I would argue that no single piece of equipment like a leader or magic fly is going to work miracles for you the angler! It always has been the angler behind the rod that gets the results! Got it? No magic fly, no magic rod, no magic leader, and all of the other nonsense prevalent today. Many think they will get everything they need on YouTube and other online forums. While there are many good sites, how does the beginner determine what is good? Direct feedback from an experienced eye will take you much further in a short period of time. 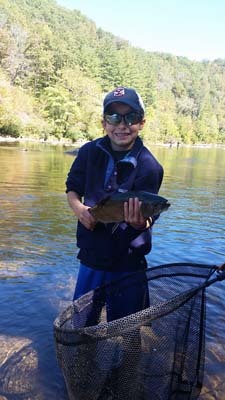 I love teaching fly fishing lessons for beginners because it empowers them. They become advanced anglers in short order once they know what to practice. Beginners are the future of our sport. I would love to see women and children make up half of the fly fishers in America! This is the only way I foresee the sport moving in a positive direction down the road. It is exciting as an instructor to watch just how quickly new fly fishers improve in a single day! What we see today is more lobbers with huge indicators than ever before across America. Many will choose an incremental increase in fly line weight to lob their bobber a few feet further. It actually is regressing the sport in many ways because few actually are concerned with becoming better casters. Do you really need a high-end fly rod & fly line to lob your fly in the first place? Fly casting is what defines fly fishing in many ways. The evolution is now for improving your skills! I believe that it is the key to a direct increase in your efficiency while fishing as well. The more accurately you can fly cast with the intent of matching the water currents than the greater your results. Another indicator of the regression in my area of the country is the number of folks choosing to fish on artificial waters. By artificial I mean those heavily stocked with large pellet trout direct from the hatchery. Not much different than pen raised quail that you have to kick to make fly on the plantations in Georgia. The ###, Twitter, Snapchat, and Facebook is full of selfies with usually planted fish. The reason many fly fishers in my region like to get out there is that there are 2500 miles of wild trout water in my county alone. Now it is all good for everyone and I am not passing judgment on what you choose to fish, especially in the newbie stages. What I am advocating is that once you are masterful with artificial scenarios that you move on to increase your skills in a wild setting. Wild fish tend to listen to their instincts a bit more than freshly stocked trout. They will provide you with greater challenges overall pushing you to the next level.